Every tiger life is precious, which is why we are very sad to share news about the deaths of three tigers in Peninsular Malaysia. Two tigers were discovered with poachers and the third, a mother pregnant with two cubs, was killed from a collision with a moving vehicle. When Woodland Park Zoo first turned its focus to tiger conservation in 2012, scientists estimated 500 Malayan tigers were left in the wild. Just four years later, with better data and increased poaching, we believe only about 300 remain. With numbers that low, the loss of three tigers underlines the importance of protecting each individual tiger. Surprisingly, our field partners have found a nugget of encouraging news in this otherwise discouraging report. Some background: you may recall from previous Tiger Team reports Woodland Park Zoo and Panthera’s Malayan Tiger Conservation Partnership conserves critically endangered Malayan tigers and forests by mitigating threats in the 3.7-million-acre Greater Taman Negara Region. Hundreds of highly-trained people would be required to effectively patrol an ancient forest that huge, so with limited resources and staff, our small but sharp team uses a strategic approach. We concentrate our work to a 250,000-acre core area in the northeastern part of Taman Negara National Park and the selectively logged forests of the Kenyir Wildlife Corridor, both set within the Greater Taman Negara Region. 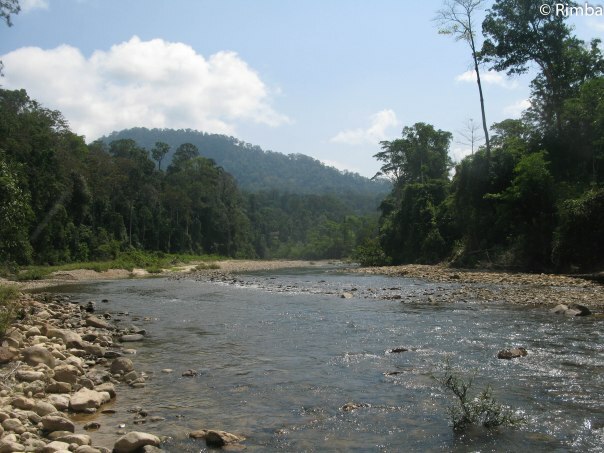 The Taman Negara landscape. Photo courtesy of Rimba. By focusing our work to a specific section of Taman Negara, people entering the forest to harm tigers and other animals become quickly aware of the presence of our rangers and biologists. And they should: we have eyes and ears all over. As many as 200 camera traps are set up throughout the core area, and human monitors regularly patrol forest access points ready to report suspicious activity to local law enforcement. Learning during an intensive tiger signs identification course. Photo courtesy of Rimba. Here’s the encouraging news: the three deceased tigers were not from our core area, but from nearby forest reserves. Does this mean we stopped poaching attempts in our core area? We may never be certain, but we continue to get heartening news supporting the effectiveness of our strategy, like this: for the first time in three years, in 2015 rangers found no tiger snares in our core area. Ranger work is incredibly difficult, and often dangerous. They work in dense forests full of venomous snakes and biting insects, and occasionally, their intense treks lead them to poachers. A serious event recently occurred when a field manager named Sri fell ill to leptospiorosis, a bacterial disease that can lead to kidney damage, meningitis, liver failure and even death. We’re happy to share that Sri received treatment in Kuala Lumpur and is fully recovered. All this means that in order to be safe and successful, rangers must receive proper training and have the best equipment. 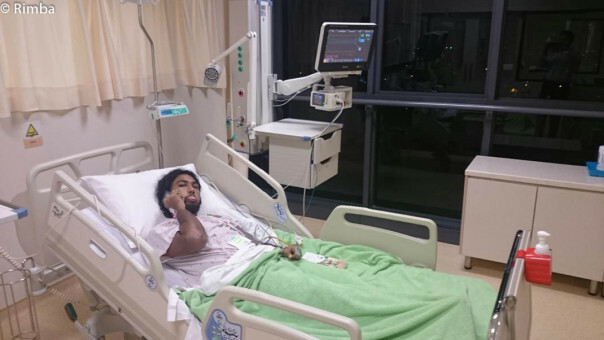 Sri recovers in the hospital. Photo courtesy of Rimba. As a ranger, keeping high spirits also plays an important role in success. Learning of poaching from other parts of the forest is certainly not good news to rangers—every tiger life is precious—but that the lost tigers were not from the core area is motivation to keep trekking. You can personally thank our field partners for their hard work to save tigers. The field team. Photo courtesy of Rimba. Email a note of encouragement to forest rangers at tigerteam@zoo.org. We’ll bundle the messages and deliver to our rangers, making sure they feel support from the other corner of the world. Don’t underestimate how much they appreciate getting these letters of encouragement!